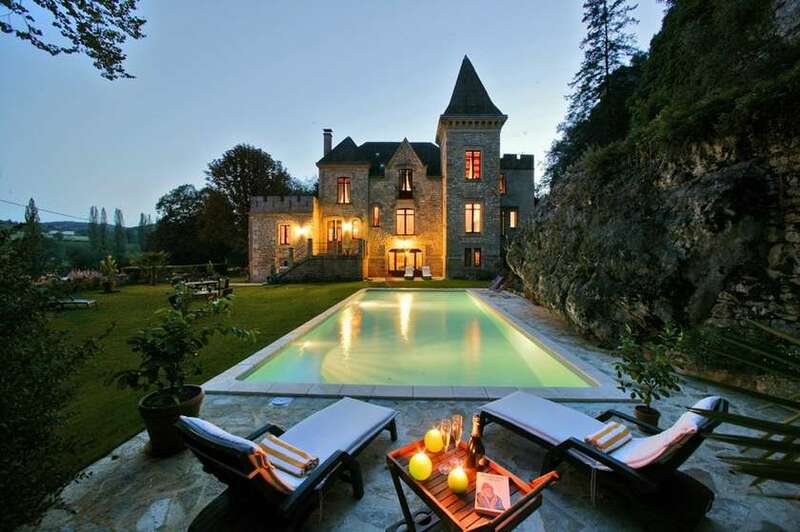 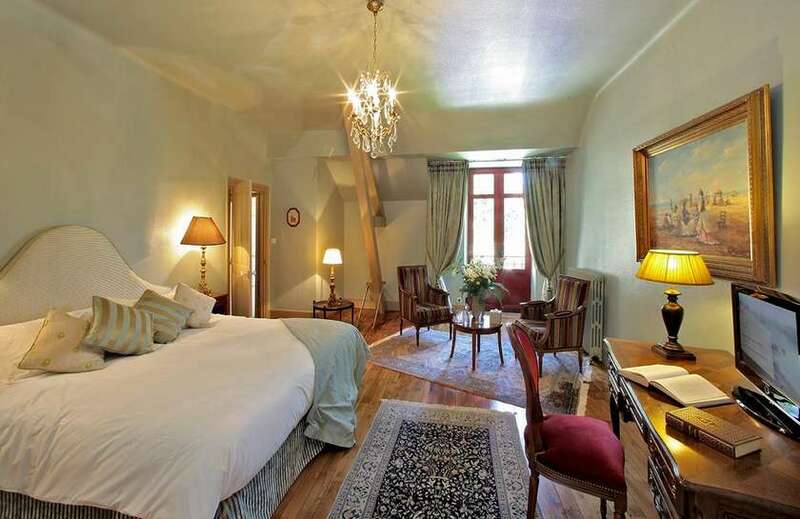 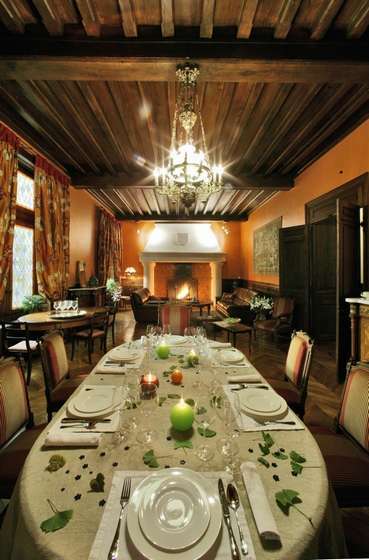 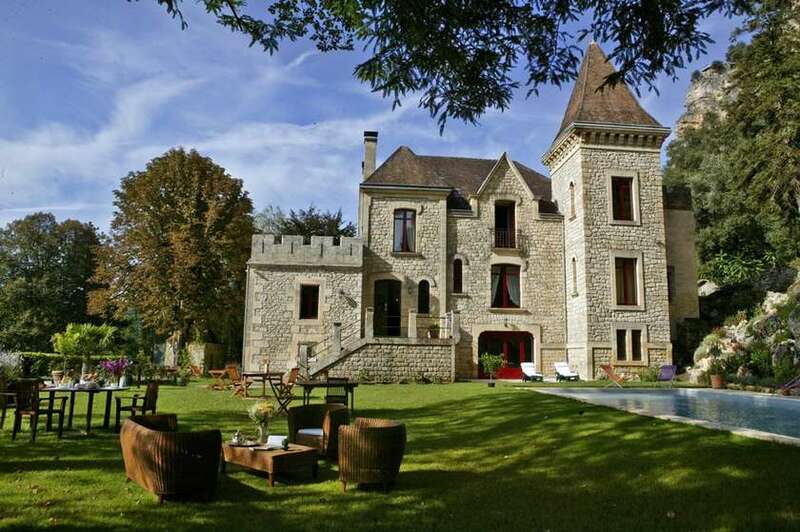 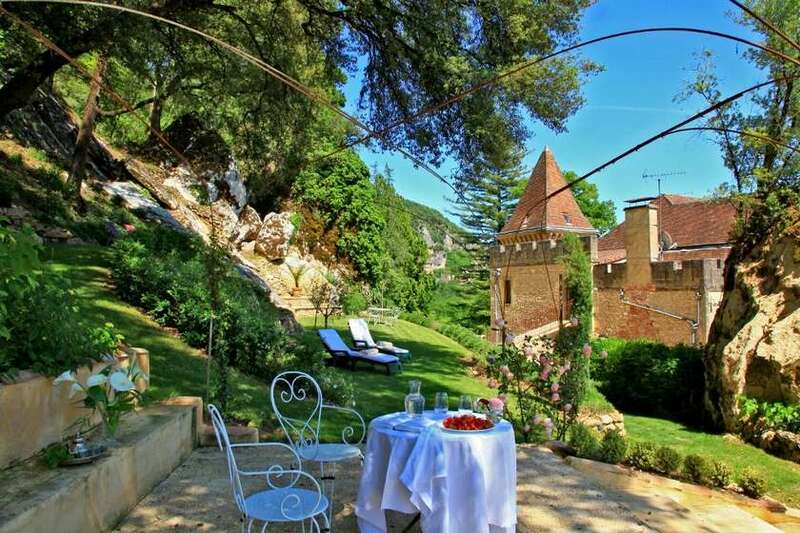 The Malartrie Manor is ideally situated in the heart of the golden triangle of the Périgord Noir, only a minute away from the famous gardens of Marquessac, between the banks of the Dordogne River and the cliffs of La Roque Gageac. 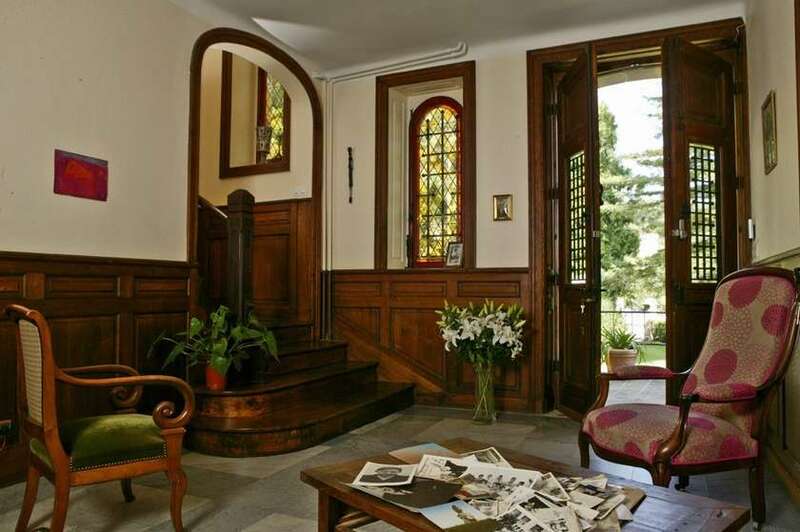 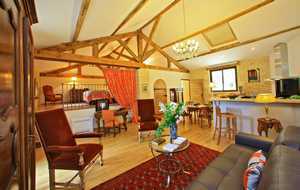 It has maintained the French spirit and taste of the XIXth century; the union of tradition and modernism have made it a charming and exceptional place. 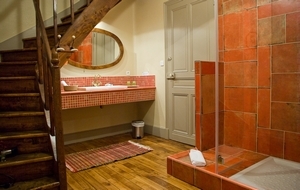 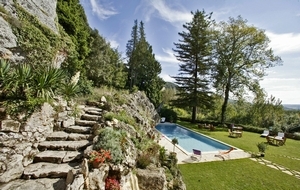 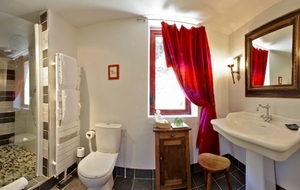 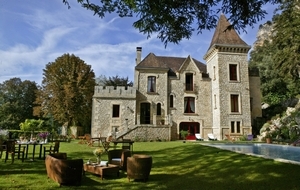 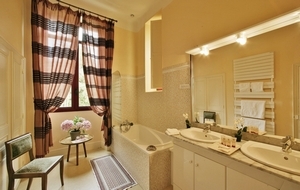 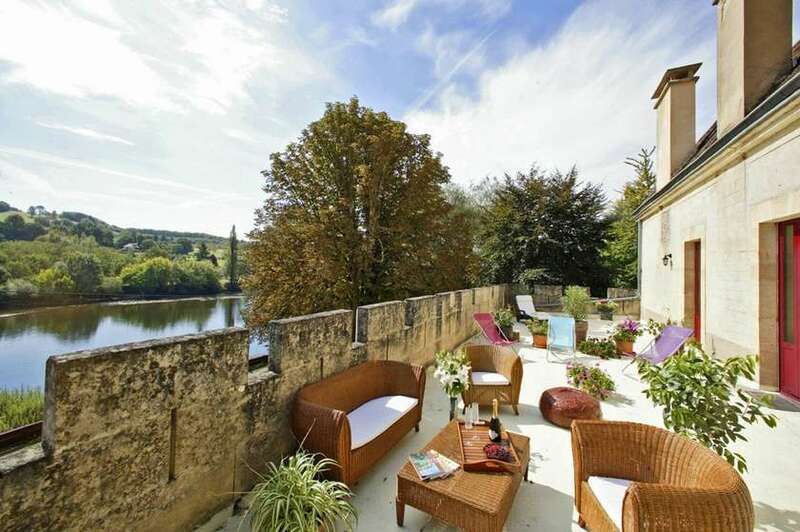 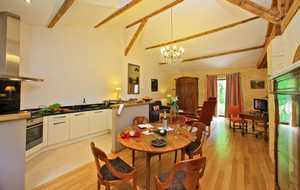 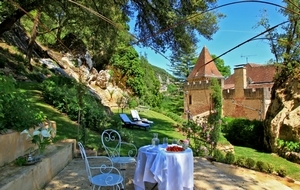 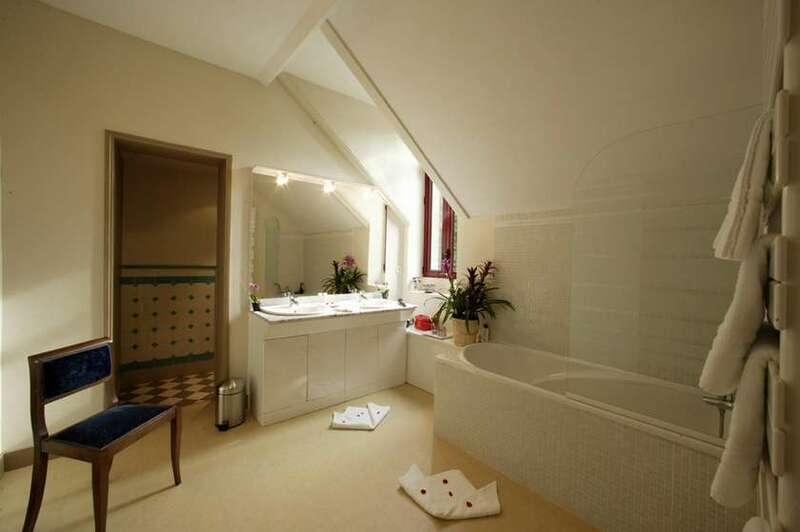 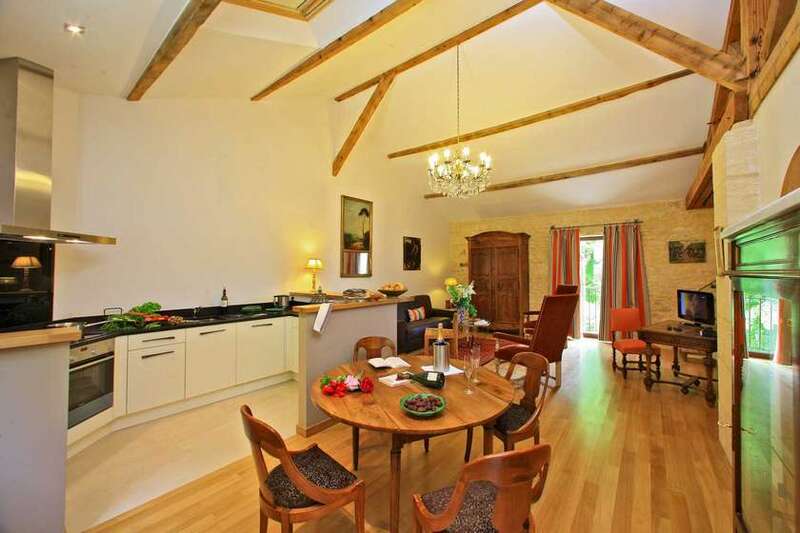 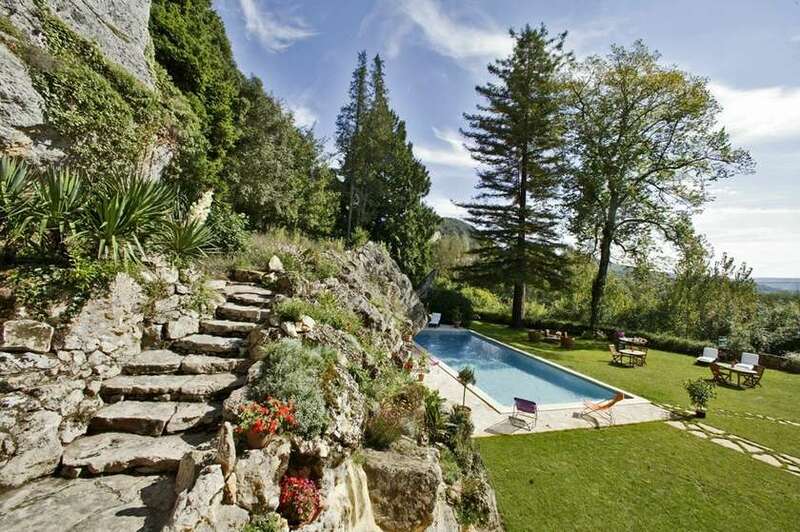 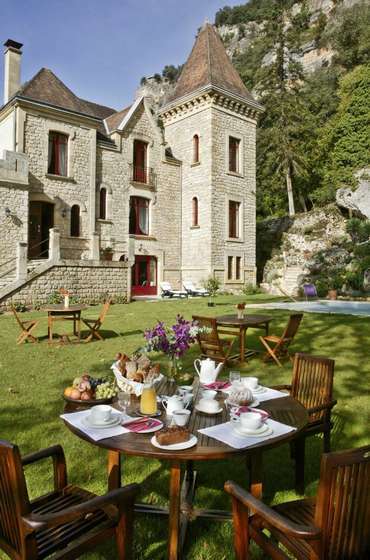 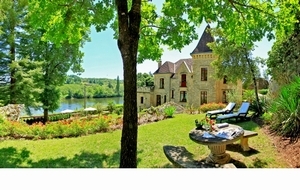 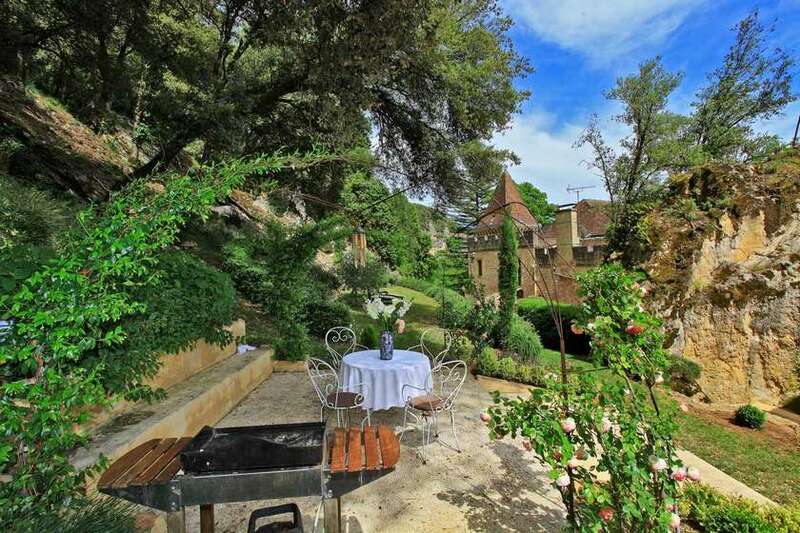 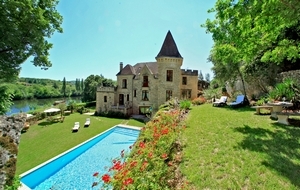 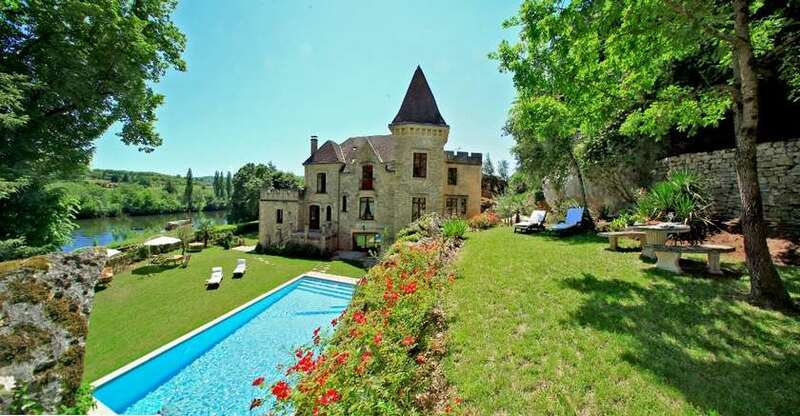 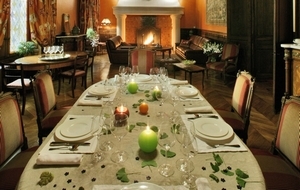 From the garden and the heated swimming pool, you will enjoy the wonderful and panoramic views of the Dordogne valley. 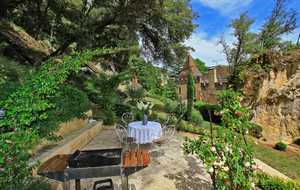 Breakfast and dinner will be served in the garden or the lounge. 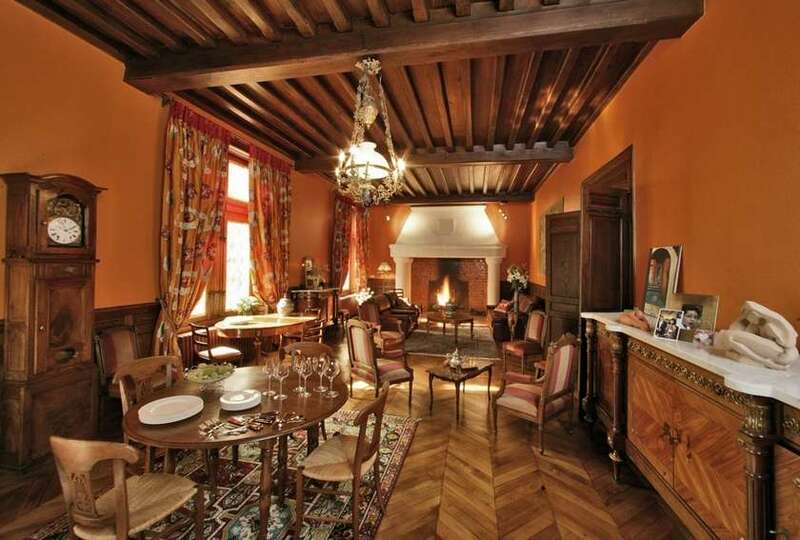 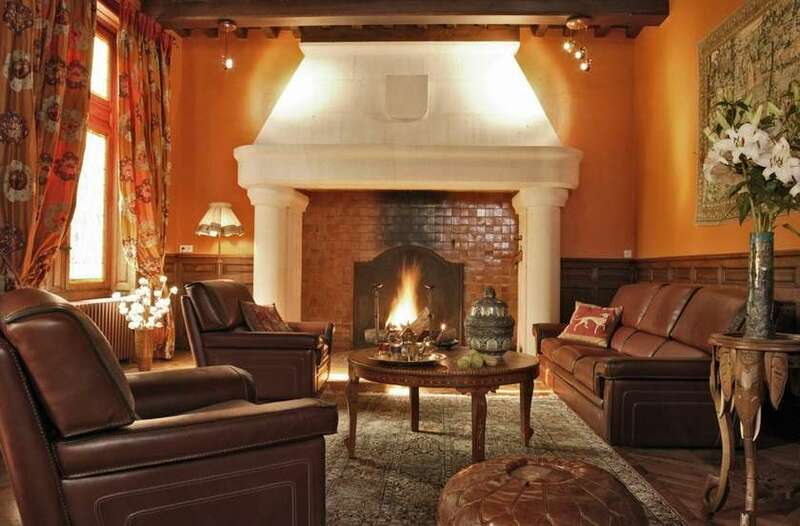 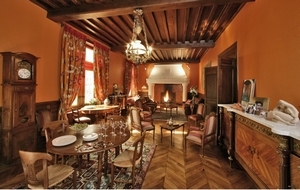 The French ceiling and the enormous chimney make it a luxurious and cosy place to be, ideal for a moment of tranquillity and relaxation. 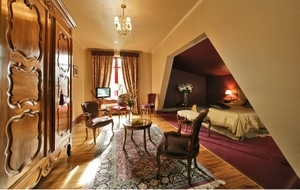 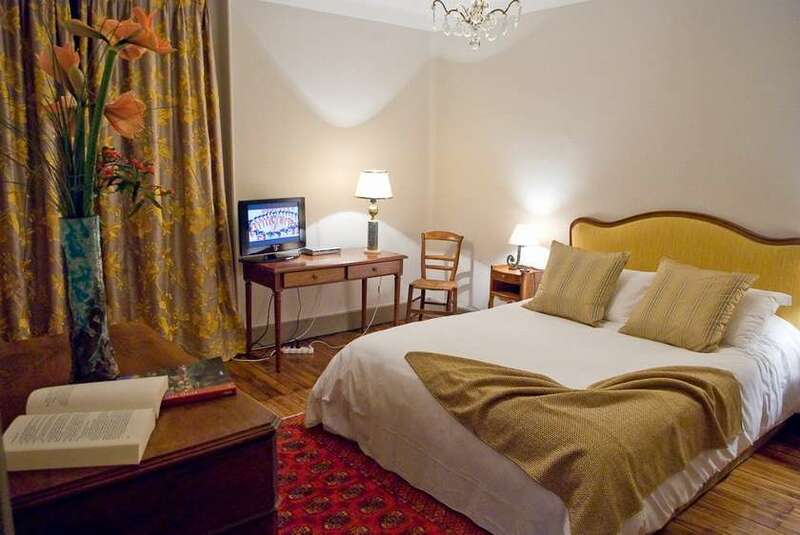 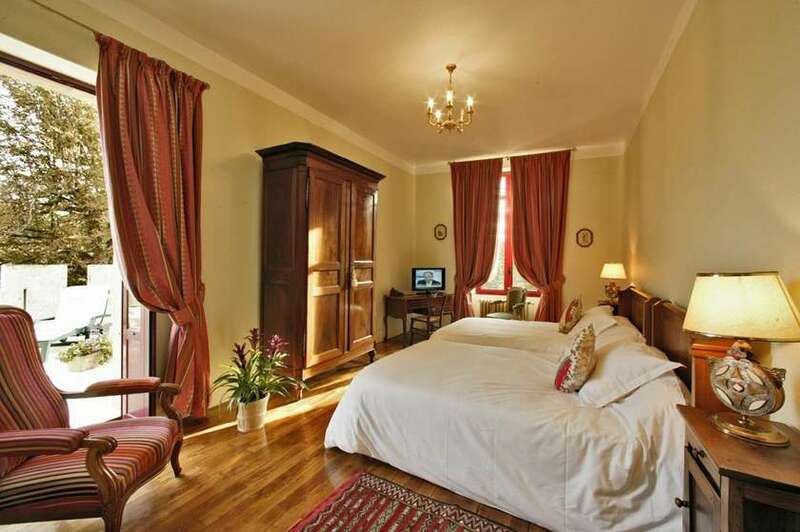 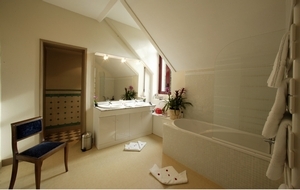 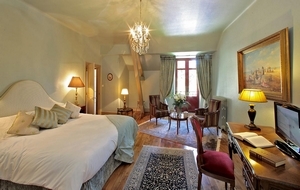 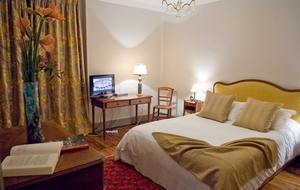 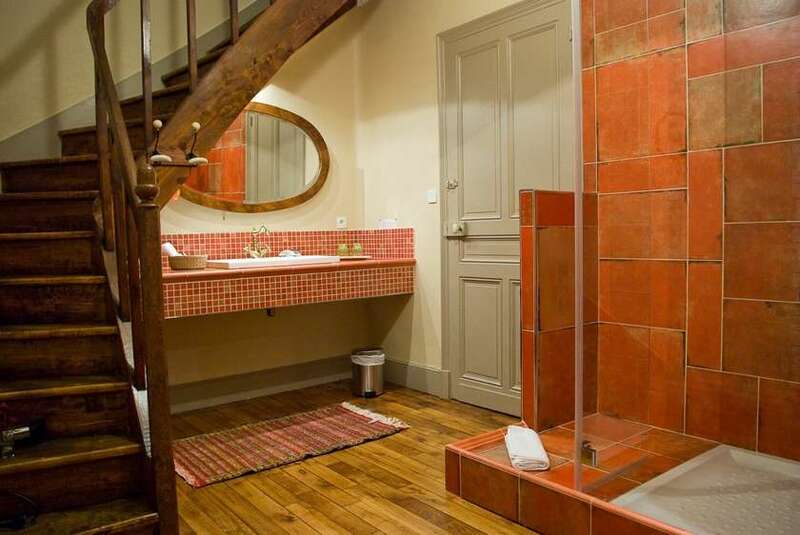 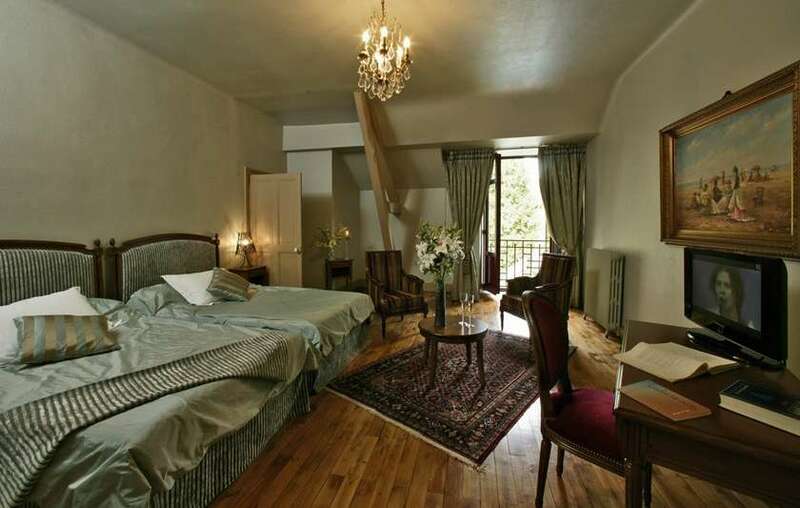 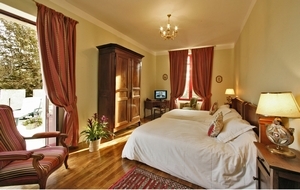 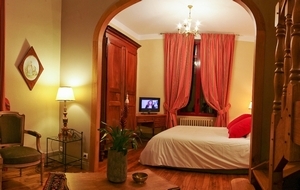 The rooms, all very spacious, are modern and comfortably equipped. 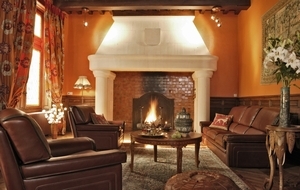 They are sophisticated, with precious fabrics and luxurious decoration. 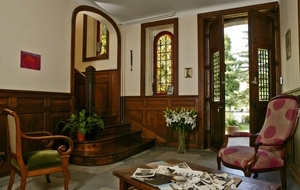 The mistress of the house has taken care of every tiny detail in order to make your stay at the Malartrie Manor an unforgettable memory. 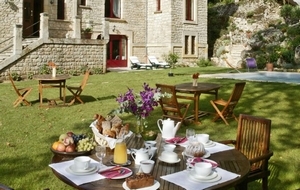 Breakfast 14 £ /pers. 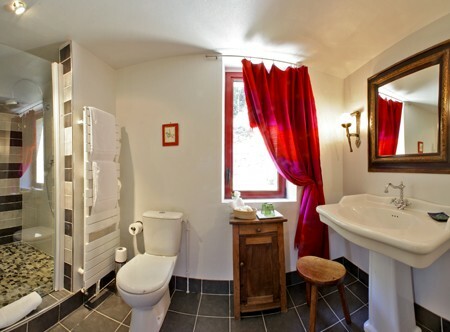 14 £ /pers.